All the nutrients you need in two great marijuana fertilizer products from Peggy Green. Grow bigger, better and healthier marijuana plants faster with Flower Minerals and Organic Wonderfood®. Use Flower Minerals plant food for growing marijuana indoors or out. Flower Minerals unique, non burning formula, is also perfect for small containers. So, as a result, you’ll never have to worry about plant burn. 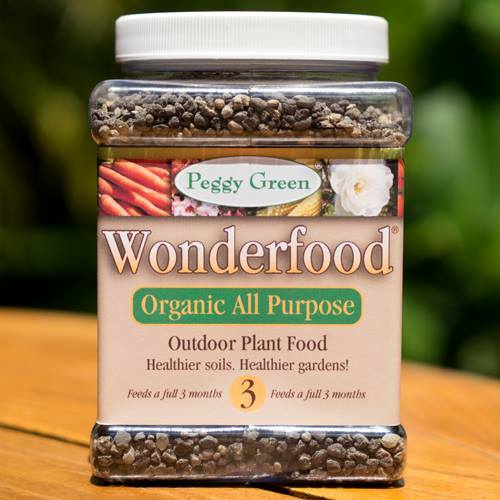 If you have large pots, or are strictly growing outdoors, use Wonderfood® organic all purpose. Both fertilizer products contain the necessary minerals for highly productive growth. You’ll see an increase in leaf size, more leaves, more buds and beautiful marijuana plants. 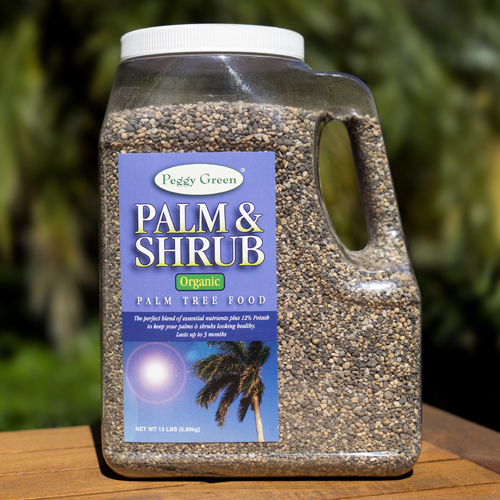 Peggy Green will also help fight disease, mold, fungus and insects. Flower Minerals and Organic Wonderfood® are the perfect choice for medical and recreational marijuana growing. 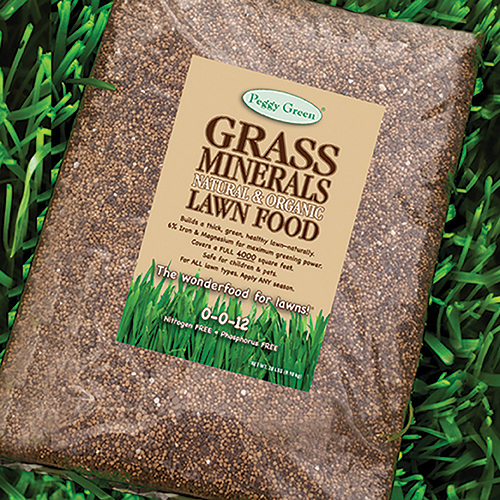 Minerals are essential to a plant’s health, and stimulate the various functions of major nutrients and enzymes. 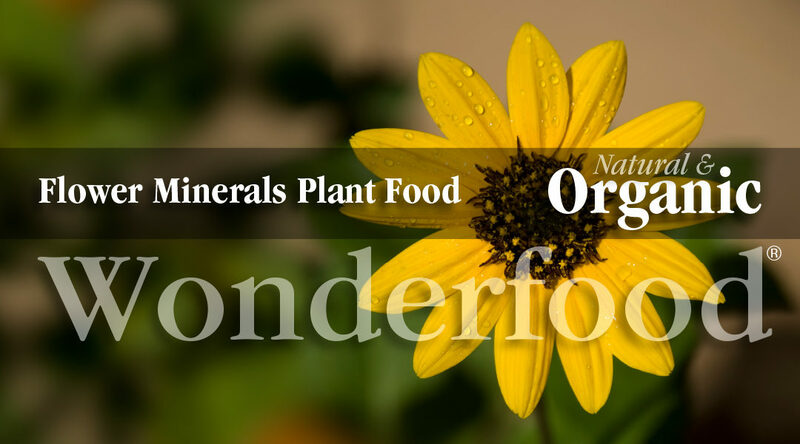 Flower Minerals and Wonderfood® all natural and organic formulations are like giving your marijuana plants the vitamins they need to “jump start” these functions, and ensure optimum growth and health throughout the year. Most typical fertilizers on the market are strictly N-P-K based (Nitrogen, Phosphorus, Potash). Typical marijuana fertilizers may not contain minerals, or have insufficient amounts to be beneficial to the plant. And, while a typical marijuana fertilizer may contribute to your plant’s growth, without the type of minerals found in Peggy Green, it will do little for your plant’s health. Peggy Green’s special, patented sucrate minerals are essential for better marijuana growth. Minerals are the “spark plugs” of the soil which “jump start” the other nutrients and make them available to the plant. Cutting back on a marijuana plant food or organic fertilizer that doesn’t have these necessary essential elements, can end up having long term effects on the soil and your marijuana plant’s health. At Peggy Green, we are all about plant health and soil health. You will find all of our natural and organic mineral formulations to be the finest available. We never use fillers, synthetic chemicals or pesticides. Our marijuana fertilizer products are the perfect solution for medical and recreational marijuanas growers. Click on the “LEARN MORE” button below or the product links at top right to find out more about Peggy Green’s innovative, safe, organic marijuana fertilizer products. Use this premium indoor plant food both indoor and out. Use it in the garden as well. This indoor plant food is formulated for potted plants. And, it is perfect for small containers. Other indoor plant food products use sulfates. Sulfates are heavy salts and can burn the plant. This indoor plant food uses special non burning minerals. You will never have to worry about plant burn again. And, because it is non burning, Flower Minerals is perfect for small containers and potted plants. We’ve put a powerful but gentle concentration of essential elements in Flower Minerals. These are the things that flowers need. Think of it as a super mineral supplement. It’s like giving vitamins to your plants! This plant food will stimulate nutrients and enzymes. It promotes good health. Your flowers will perk up. You will see more blooms and growth. And, you will see much greater flowering, color and vibrancy. Use Flower Minerals on all your houseplants. It works great on all flowers and ornamentals. Take it outside. Use it in the garden, and all around the house. Minerals are the spark plugs of the soil. They jump start other nutrients and make them available to the plant. Cutting back on a plant food that doesn’t have these minerals, can end up having long term effects on the soil and your plant. At Peggy Green, we are all about plant health and soil health. You will find all of our natural and organic mineral formulations to be the finest available. We never use fillers, synthetic chemicals or pesticides. Our products are safe for children and pets. And, our premium indoor plant food is no exception. 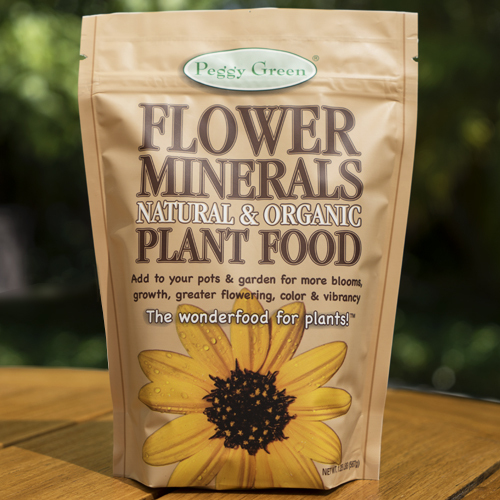 Peggy Green’s super mineral flower fertilizer is the natural choice for healthy container flower gardening. Especially formulated for pots, container plants, indoor and outdoor gardening, this organic flower fertilizer simply will not burn. Unlike other flower fertilizers that rely on sulfates (heavy salts—which container plants do not like), Peggy Green’s advanced sucrate formulation simply out performs other brands, provides superior nutrient uptake, and is perfect for ALL TYPES of container flower gardening—without fear of harming your flowers or ornamental plants. You’ll grow an incredible, super healthy, container flower garden with Peggy Green. Plants thrive on Flower Minerals flower fertilizer. Packed with a powerful concentration of essential elements that flowers and ornamental plants thrive on, this super organic mineral flower fertilizer stimulates nutrients, enzymes, increases microbial action, and promotes good health. 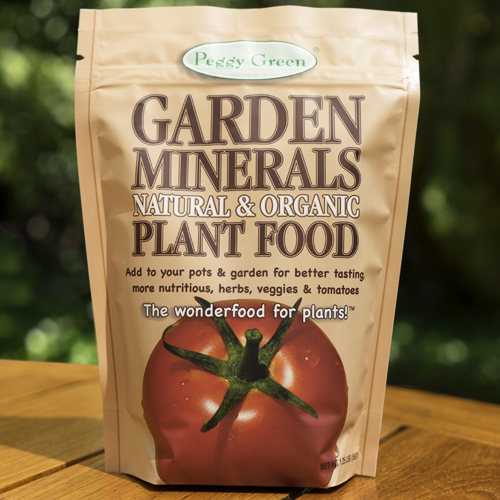 You’ll get more blooms, more growth, much greater flowering, color and vibrancy with Peggy Greens Flower Minerals for container flower gardening. 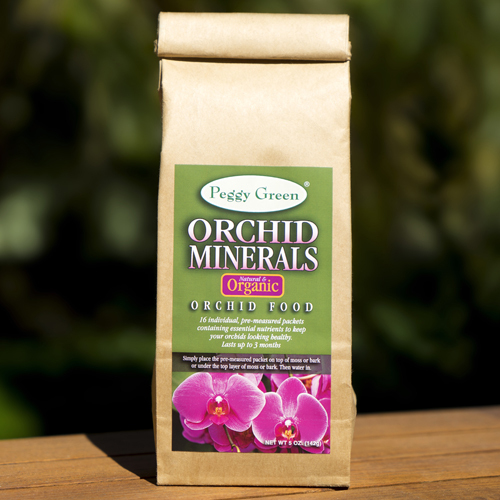 Isn’t it time you put the missing minerals back in the soil, and grew all your flowers and ornamentals HEALTHIER with Peggy Green’s Flower Minerals for container gardening? Minerals are the “spark plugs” of the soil which “jump start” the other nutrients and make them available to the plant. Cutting back on a plant food or organic fertilizer that doesn’t have these necessary essential elements, can end up having long term effects on the soil and your plant’s health. At Peggy Green, we are all about plant health and soil health. You will find all of our natural and organic mineral formulations to be the finest available. We never use fillers, synthetic chemicals or pesticides. Our products are completely safe for children and pets. And, our Flower Minerals are no exception.